Since we were flying out of Brussels, we had no choice but to end our trip here and we were left with only 2 days! 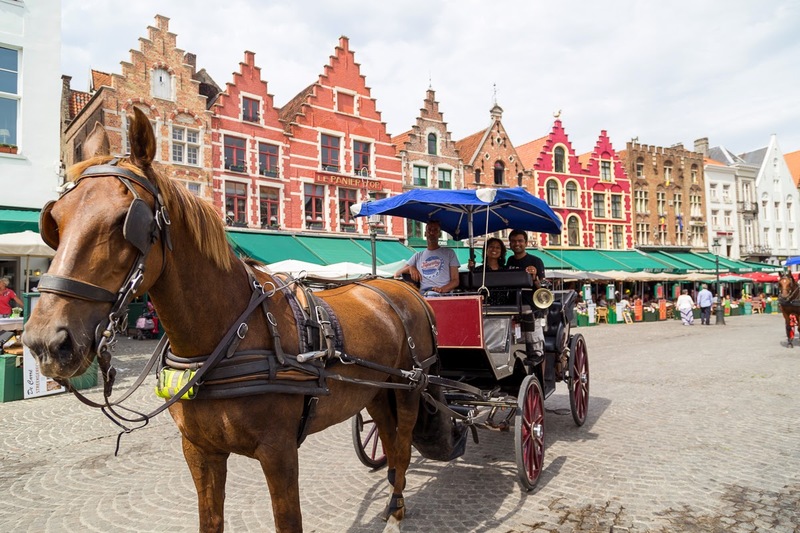 We decided to pick Bruges and Belgium for our visit. 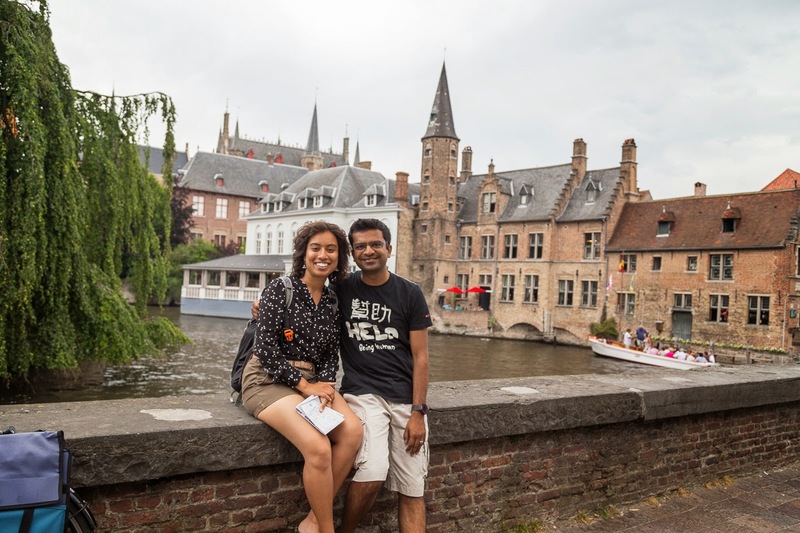 I had thought we can spend a couple of hours in Ghent on our way back from Bruges, but we just couldn't leave that town. Bruges takes the crown for being my favorite city from now on! We flew out of Brussels airport (BRU). Brussels airlines had really good connections to the US. Getting to airport is also very convenient from the city. Public transport is really well connected. 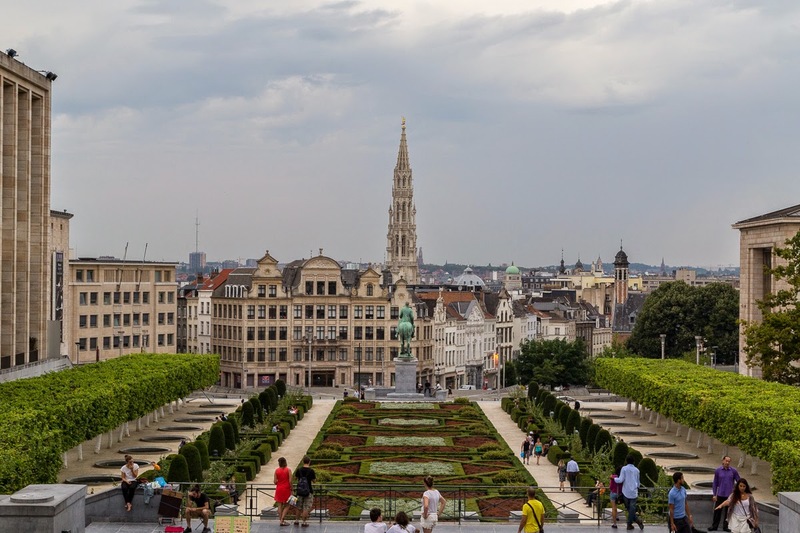 In Belgium, we stayed at the Queen Anne hotel in Brussels and there was nothing wrong with the hotel itself, but the heat and humidity without an air conditioner made us a bit miserable. And it seems, air conditioners are not really common here. We bought a round trip ticket to Bruges from Brussels. We reached Bruges in about an hour or so. We got off the station and picked up a map from the tourist information center. As we started walking towards the town center, we couldn't believe that a town could be so pretty. Cobbled streets, very beautiful European architecture and no crowds. As we walked through the town towards the Grote Markt, we took many many pictures. Everything was just so pretty, right out of a book. I remember saying this to Sumit, "This town is so pretty, look at the streets. Only if there were horse carriages around" And there they were, I could here tuk tuk of the horse shoes! The old town area is itself very small. We walked around for an hour or so, through narrow alleys, in the market. Stopped at one of the burger joints for lunch. Almost 30-40% were chocolate/ice cream shops. Any way, we walked around and got to the most photographed spot in Bruges. Then walked towards the old palace crossing the small bridges. We didn't want to visit any museums or any palaces, we just wanted to walk around the city. We landed in the Grote Markt square after roaming around. We were thinking whether to do a boat ride or a horse carriage ride and of course we picked the latter. It lasted about 30-40 minutes and our umm, driver?! took us through those small streets lined up by the shops, towards the Begijnhof Convent. Here we got down and strolled for about five minutes in the gardens and lakes with beautiful swans. By the time we got back to the Grote Markt, where we had initially started, the map of the old town was embossed in my memory :D It is such a small town! 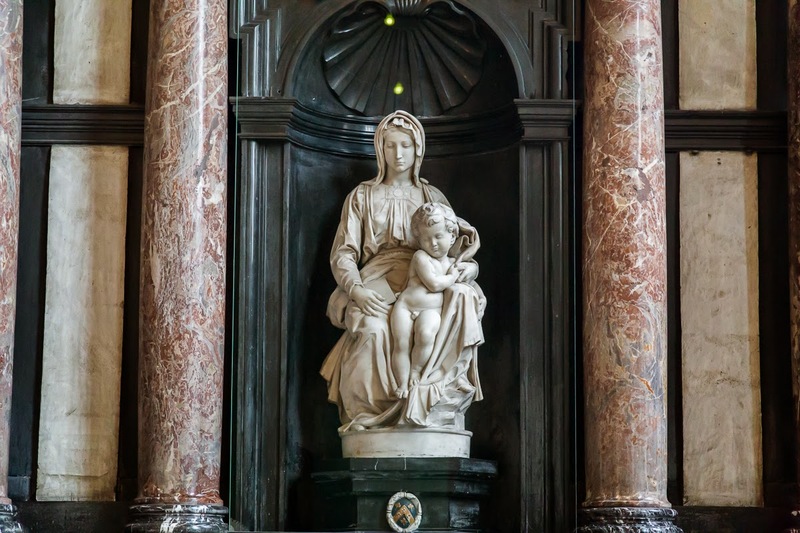 We could have gone to the Hospital of St. John's and a few other churches, but we picked the The Basilica of the Holy Blood for Michelangelo's sculpture and a vial here, which is supposed to contain the blood of Jesus Christ! Well, next pick would have been the St.John's hospital and the chocolate museum. But, we ditched it and decided to shop around. After shopping, we went to a Godiva's store for my Belgian chocolate shake. 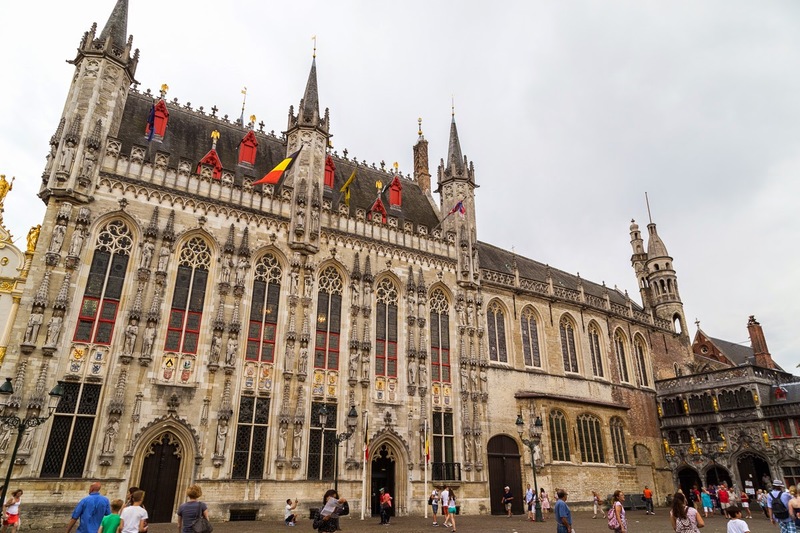 Initially we had planned to spend half a day here and half a day in Ghent, but we were so mesmerized by Bruges, that we decided to spend the entire day here and head out to Brussels in the evening. 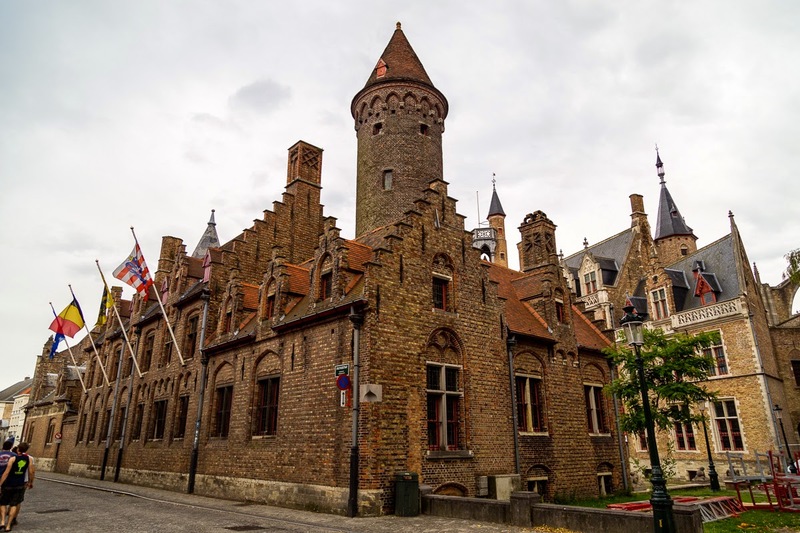 After we got back from our vacation, we watched the movie In Bruges and totally understood why would anyone want to visit this place one more time before they die. The movie is excellent by the way. And I am sure by now you know I am totally in awe of this place. More: Climb the top of Belfry tower. Visit St. John's hospital, Chocolate Museum and the brewery. Definitely spend at least a couple of days in this pretty town. Here is where you can get all the information. We didn't have much time here. 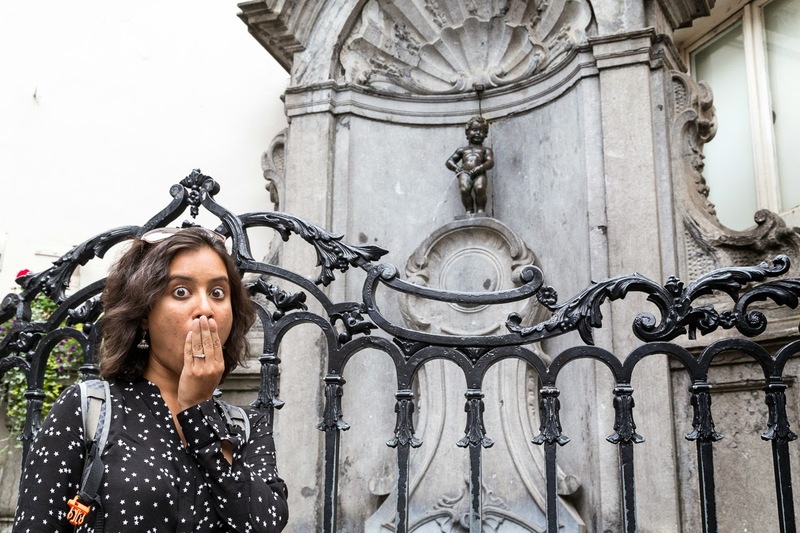 But from whatever time we had on our hands, we walked around the city to see the Manneken Pis. I was looking for it somewhere high up, where as it was tiny tiny statue at a street corner with a flock of tourists taking pictures. From here, we walked towards the Grand Place. Since it was evening and all the buildings had lit up, it was a perfect place to just sit down and take in all the beauty. The square is surrounded by very old buildings of different styles and the square is very lively with singers, musicians, sketch artists and street hawkers. From here we walked toward Mumtaz, an Indian-Pakistani restaurant. It wasn't that great, but the walk gave us some really nice views. We then took a metro back to our hotel. Since this was the end of our trip, we decided to just relax, eat and ditch visiting the typical touristy places. More: We ditched going to the Atomium Park and the Mini Europe which were next on our list, for a few hours of extra sleep. We were short on time in Belgium, but from what I know Antwerp and Ghent are towns which are tourist worthy in their own right.